FACTORY: Tobacalera La Flor S.A. Generous bomb from Nick - fellow r/cigar member & Burn1's very own founder! Yuengling IPL - great spring time beer! The Bull gets it's irregular and now somewhat iconic shape from an antique cigar press Litto Gomez snagged while traveling throughout southern Spain. The press was replicated and served as inspiration for the Bull's size and shape. Southern Spain's influence continues - the region has a rich history and tradition of bull fighting, not to mention the running of the bulls. 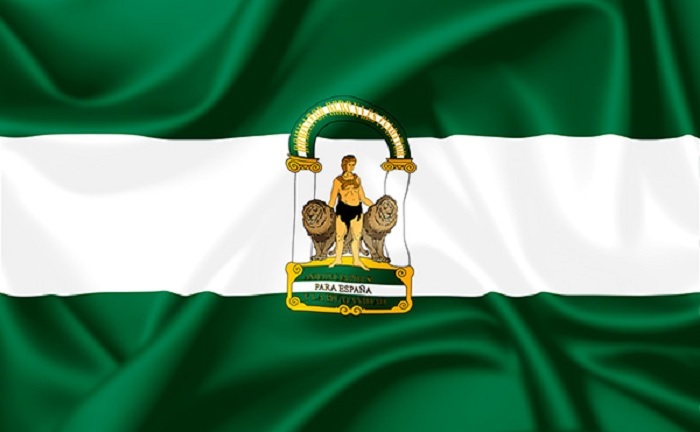 The cigar's distinctive band draws inspiration from the region's flag, which is green with gold accents and features Hercules taming a couple lions (pictured left). LFD knocked this one out of the park - from the box to the band, in terms of treating this like a special cigar. The cigars are displayed gorgeously in a ten count box – like each one was hand placed by a caring craftsman. A gold band is even included under each one to ensure you’re able to remove it without damaging the cigar – all of which adds to the notion you’re selecting a perfect cigar. The band is a terrific homage to the region that brought forth the inspiration for the stick. As stated in the ‘Research’ section – the colors are copied from the region’s flag while the torero (aka matador) is shown in black outlined by gold. The secondary band features a script-like text featuring the cigar’s name. The colors and band seem to blend right in with the dark wrapper while popping just enough. It’s like a well selected leather in a luxury car – you know it’s there and it feels luxuriously appropriate without being obnoxious. First of all – this cigar is enormous. The Ecuadorian Corojo wrapper is a beautiful dark chocolate color. The wrapper is relatively smooth but there are a fair amount of bumps or raised portions and a little bit of veining. Apparently, the wrapper is underwraps; Litto wantecd to use and showcase this specific (undisclosed) priming of leaf. What’s priming you ask? Check this out. On this stick, there’s a little ‘scar’ near the cap – but that’s the only blemish visible. The foot shows some lighter chunks rolled into an otherwise tight looking blend. The cap is seamlessly done and blends perfectly into the body. Immediate aromas are dark cherry, some dough (thanks Halfwheel! ), wheat and citrus. This hoss feels like how a big ol’ cigar should feel. It’s solid and firm in the hand – very little give and no soft spots apparent during inspection. Cold draw is nice and open without being even close to loose. Flavors are cedar, light lemon or citrus zest. Snip the tip and fire it up with my Bugatti single torch lighter. First flavors that come out are a creamy blend of some pepper and maybe a little bitter chocolate/coffee. Definitely some strong coffee bean notes on the retrohale. Smoke production is moderate – while it’s resting, there’s not much but doesn’t hesitate to produce when puffed on. The burn line is a little wobbly so far but nothing too nuts. The flavors continue from the first impression – some pepper/spice but mostly cedar and cream. There’s also the slight tang of minerals going on – nothing overt – just a mouthfeel really. As it progresses through the third, I’m noting a little more citrus again and some clean crispness – like cut grass. Pepper and spice are almost non-existent as I approach the second third. The ash built wonderfully and stayed with me most of the way through the third! The cigar is wrapping up beautifully. The last third continues the deep, meaty notes from the end of the second third. There’s a rich creaminess to it as well. I’d like to point out the stamina needed to get through this thing – it is a veeeeerrrry slow burning cigar. I’m a relatively fast smoker but this thing took me just under three hours to get through. The final third was more of an exercise in patience than anything – great flavors, but it’s kinda like eating the same dish for three hours. Cigar of the Year? No. This was a truly impressive smoke. Cigar of the year? Well … no, not for me, although I wouldn't hesitate to put it the top 10 for 2016. I love the ‘lore’ behind its creation and the clear labor of love that this cigar is but the simple truth is this is a smoke requiring a lot of time and patience to get through. The flavors are great but, in my opinion, didn’t progress enough to warrant the high honors bestowed upon it. If you’re going to spend three hours doing anything, you want a little variation. All in all, very impressive and highly enjoyable – just not sure I’ll be carving out 3 hours again anytime soon to fire one up.